In this section you can download FREE mp3 music files, for your musical enjoyment. Many thanks to the following musicians for sharing their music! DISCOVER THE CREATIVE WORKS OF LISA MILES! Lisa Miles is a professional creative artist who writes original music, collaborating with film, theatre, visual, and movement artists. A violinist based in Pittsburgh, PA, Lisa has been awarded grants for her creative work. Visit www.lisamilesviolin.com to listen to music samples, purchase CDs online, watch a short video featuring music composed by Lisa, and read the rave reviews for Lisa's first book, "This Fantastic Struggle: The Life and Art of Esther Phillips." musician and writer--based in Pittsburgh, Pa.
Erin Snyder and Mike Marcinko. *Click on CD cover below for enlargement. From the Lisa Miles CD titled "Original Music"
*Click on the song title to download mp3 file. Lisa Miles is a professional violinist based in Pittsburgh who creates original music, collaborating with theatre, film, visual, literary and movement artists. She accompanies dance at Dance Alloy and teaches improv to young instrumentalists. She was awarded grants from The Pittsburgh Foundation, The Heinz Endowments, Meet The Composer, and the PA Arts & Humanities Initiative for a cross-disciplinary collaborative piece that she directed and produced. Entitled Presence, it incorporates media/visuals, movement and her music, and is about the search for authentic sense of self. MORE ABOUT THIS WONDERFUL BOOK! The story of one who produced so much art, yet left so many questions...I couldnt stop reading! Woven together with letters, interviews, scholarly source material, institution documents and art work, this biography and unique cultural essay presents an absorbing glimpse at what it means to be an artist. *Click on images for enlargements. From the Greg Salmieri CD titled "Elizabeth's Visits"
Greg Salmieri, a singer, songwriter, guitarist, and harmonica player, has been performing in central New Jersey since 1994. He has appeared (fronting the Easy Stir and Roll Blues Band) at The Stone Pony and Club Bene, and at many smaller venues. Over the past several years he has been a fixture at Red Bank's Internet Café, where he performed frequently and hosted the Sunday Night Open Mic., a Red Bank institution. Greg performs well-crafted original songs, which draw on diverse elements of the American music tradition. He sights the Beatles, Bob Dylan, and blues artists Muddy Waters and Robert Johnson as principle influences. Neither is in wide release, but both can be purchased on the web at http://www.mp3.com/greg_salmieri/. Also at that web sight, many of Greg's recordings can be streamed or downloaded in mp3 format. In the Summer of 2001 Greg moved to Pittsburgh to pursue a Ph.D. in Philosophy at the University of Pittsburgh. He is just beginning to perform in the Pittsburgh area. He can be reached for bookings or general conversation at 412-687-1278 or via email at gcs10@pitt.edu. From the Jill West and Blues Attack CD titled "Code Blue". I created the original Jill West and Blues Attack website in August 2002. 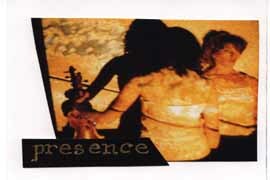 About ten years later, the band's drummer took over and created a new site. Jill West and Blues Attack, a Pittsburgh based band playing their own style of hard edged blues with a guitar blast. They play in the tradition of the Vaughn brothers, BB King and Muddy Waters. The band features Jill West on lead vocals, Don Hollowood and Mark Cholewski on lead and rhythm guitar, Hank Raffetto on bass, and Nick Crano on drums. *Photograph of Donna The Buffalo courtesy of the Funkyside web site. From the Donna The Buffalo CD titled "The Ones You Love ". Donna the Buffalo's music is original American roots-rock. A stalwart of the folk-roots world and its accompanying festival circuit, Donna the Buffalo has left its indelible musical footprints on the stages of clubs, theatres and festivals across the country. Funky and danceable with a message of tribal philosophy and celebration, Donna the Buffalo has developed a unique mix of reggae, rock, cajun, country, zydeco and folk backed by driving rhythms. The dual lead vocals of Nevins and Puryear provide a unique, hypnotic quality to the melody, adding to the band's unusual instrumentation and strikingly original sound. While their swirling musical creations intoxicate listeners, Donna's pointed lyrics also issue moral challenges "with the early arrows of Bob Dylan, shot from the bow of Bob Marley," as the band likes to say. Topic material moves effortlessly between political, historical, personal and spiritual themes, with ideas of social and moral responsibility that spring from the band members core beliefs. Not one to preach without practicing, Donna the Buffalo turns belief into action every summer as the driving force behind the FingerLakes GrassRoots Festival. Staged in Trumansburg, NY, the Donna organization plans and hosts the event, which benefits AIDS programs and art education throughout the upstate area. The 1998 festival witnessed over 7,000 people converge for 4 days of music from more than 60 bands, including such international talent as Toots & the Maytalls, King Sunny Ade, Altan and of course Donna the Buffalo. Besides their own GrassRoots Festival, Donna the Buffalo has appeared at festivals from New York to North Carolina, sharing stages with bands such as Los Lobos, 10,000 Maniacs, Richie Havens, Merle Saunders, David Grisman and Rusted Root. Formed in Ithaca, N.Y. in 1987, Donna the Buffalo came together as musicians sharing a common interest in old-time fiddle music.